The new 2019 Chrysler Pacifica is a modern minivan that has plenty of memorable amenities. It comes fully loaded with a 3.6L V6 VVT engine that delivers 287 horsepower. The spacious Pacifica can haul your whole crew and their cargo in style. Schedule a test drive at Normandin Dodge Chrysler Jeep Ram to experience the 2019 Pacifica for yourself. In the meantime, let’s review some of Pacifica’s other compelling features. The 2019 Pacifica has clean lines and a contemporary look. The fluid and angular front grille and curved body lines create a dynamic impression. Choose from 10 striking colors, including the Cordovan Pearl maroon, or Velvet Red Pearl shades. Chrysler has also included some of the latest driver assistance technology with the new Pacifica. Blind spot monitoring with rear cross-path detection and ParkSense rear park assist are included standard on every new Pacifica. These handy features will give you peace of mind on every drive. 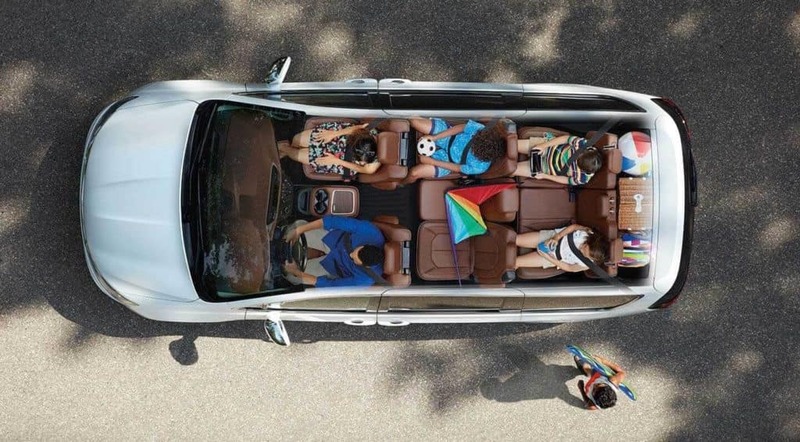 The 2019 Pacifica has an expansive cabin that seats up to 8 passengers. They’ll enjoy cozy seating and simplified access to the rear rows. When you need to load cargo, the cabin can quickly and easily transform with the available Stow ‘n Go seating and storage system. The second-row seats fold totally flat, giving you plenty of room for everything from the kids’ sports bags, to camping gear, the weekly groceries, or even furniture. 243 possible seating configurations ensure that the Pacifica is always to handle anything you could want to carry. Upgrade your 2019 Pacifica with a distinct trim. First up is the Pacifica L which boasts Uconnect 4 software with a 7 inch screen and Android Auto and Apple CarPlay compatibility. The LX trim is packed with value, sporting a power driver’s seat, automatic headlamps, and easy third row access. The Touring Plus model takes things to the next level with power doors and liftgate and second row stow and go seating. Next up is the Touring L which can be equipped with a host of available driver assistance features. Outfit the Touring L with optional collision warning with active braking, or even parallel and perpendicular park assist. The Touring L Plus can make longer drives more comfortable with its entertaining Uconnect Theater with wireless streaming, heated second row passenger seats, and 4G WiFi hotspot. Finally, the Pacifica Limited incorporates luxurious details like a tri-pane panoramic sunroof, Nappa-leather trimmed seats, and an onboard integrated vacuum system. Normandin Dodge Chrysler Jeep Ram is San Jose’s premier destination for new and used vehicles. We’re conveniently located to serve the local area, including Sunnyvale, Santa Clara, and Milpitas. If you’re looking for a more flexible driving option, our associates can also describe the many benefits of a vehicle lease. We know that the Pacifica is the perfect vehicle for growing families, so why not check it out in person? The new 2019 Pacifica is for sale now at Normandin Dodge Chrysler Jeep Ram, starting at only $26,995. New vehicle pricing includes all offers and incentives. Tax, Title and Tags not included in vehicle prices shown and must be paid by the purchaser. While great effort is made to ensure the accuracy of the information on this site, errors do occur so please verify information with a customer service rep. This is easily done by calling us at (408) 389-4749 or by visiting us at the dealership. 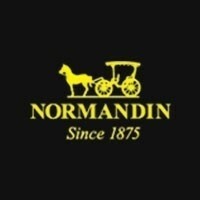 Normandin Chrysler Dodge Jeep Ram FIAT	37.2743646, -121.8706775.